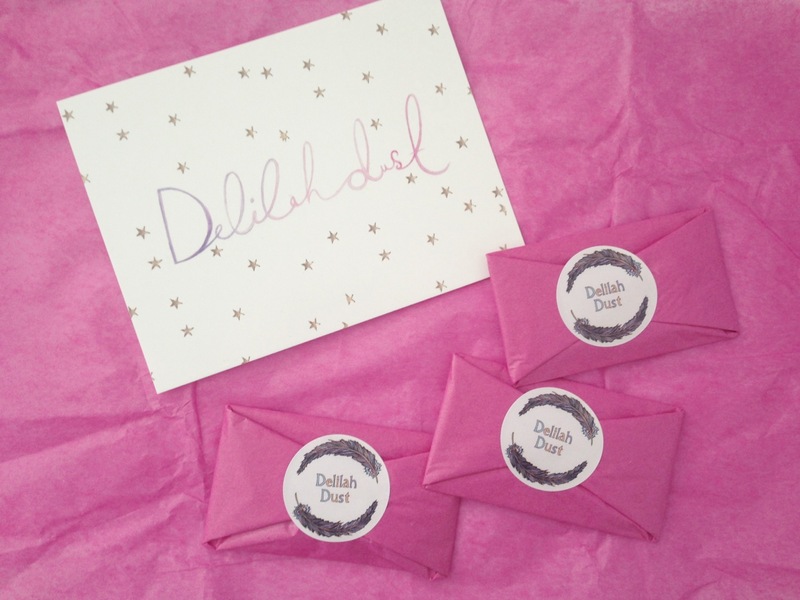 I got back from America on Saturday to this gorgeous little parcel from Delilah Dust and couldn't wait to show you all! I received 3 silver pieces (2 necklaces and a bracelet) and they arrived beautifully packaged in bright pink tissue paper with a lovely postcard from Antonia, who makes and sells these pieces. 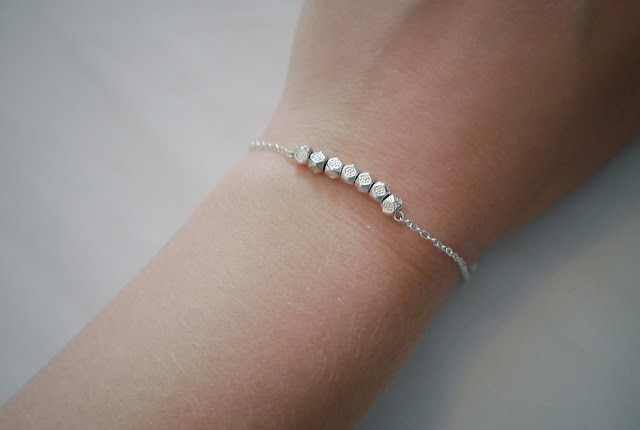 My favourite item has to be the bracelet, it's so simple and pretty, I've worn it every day since and I love the little detail it adds to an outfit. 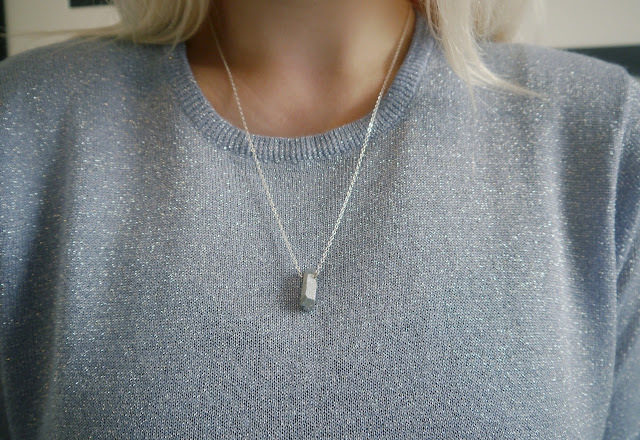 Delilah Dust is one of my favourite jewellery sites and everything they do is such good quality, so make sure you check them out if you haven't already! All these pieces are gorgeous! 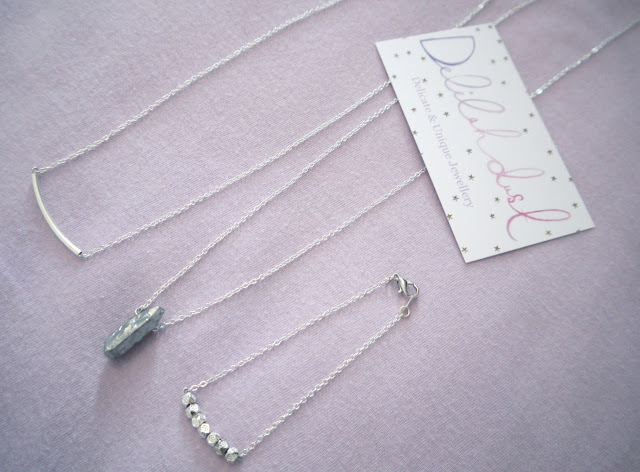 I love Delilah Dust, its easy to buy lots from there! I can't get enough Delilah Dust! The pieces you've chosen are just perfect.. The delicacy of these pieces are lovely! Love your blog - now following! 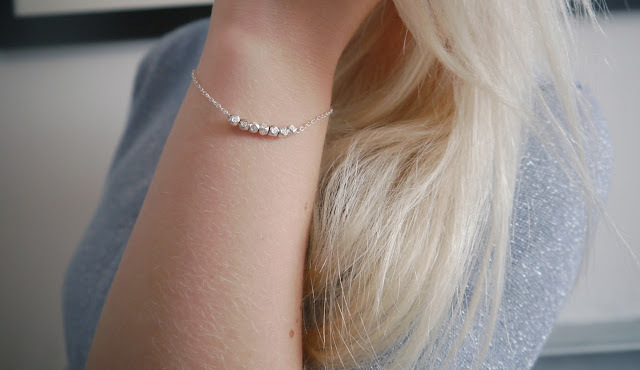 So obsessed with the dainty bracelet in the last shot. Super cute!